Solid Giant Easter Egg Shaped Bath Fizzy, presented in a luxury white gift box. 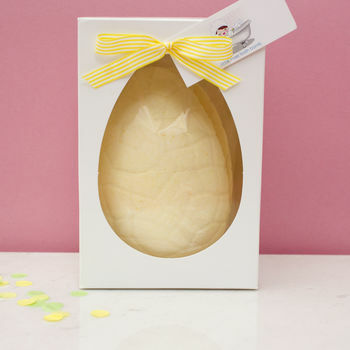 This Easter Egg Shaped Bath Fizzy would make a lovely gift as an alternative to a chocolate egg this year. This bath fizzy is 'HUGE'. 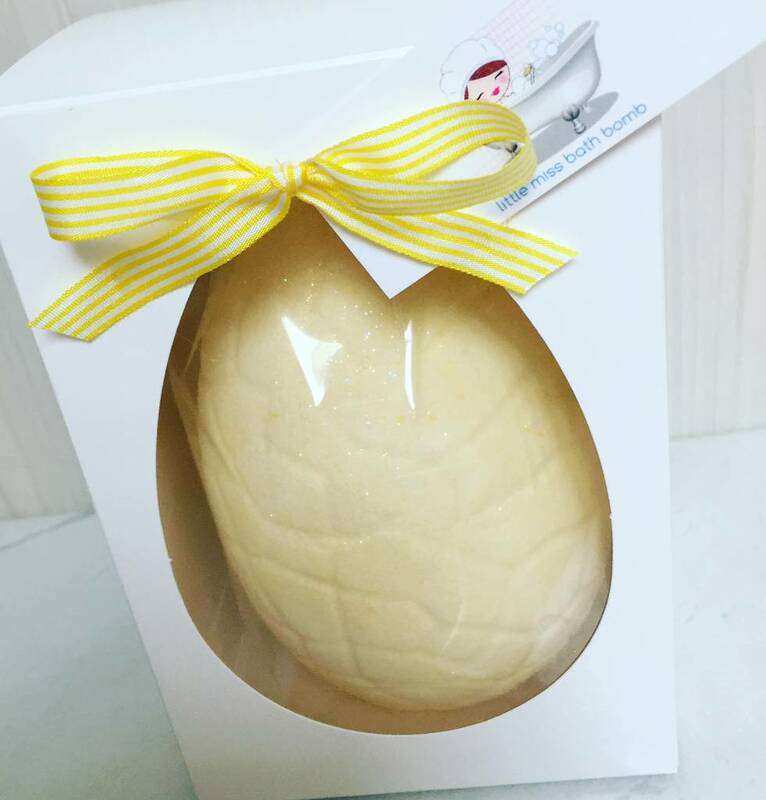 It is a two solid halves of an egg. This product is dispatched to you by Gifts By Little Miss.